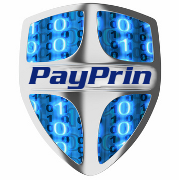 PayPrin - Payment Principals LLC is a privately held Delaware company that provides highly specialized payment processing services to select clients worldwide. PayPrin was established in 2009 and is a registered MSP, Sales Agent and service provider for multiple acquiring banks, merchant acquiring partners and technology platforms. The foundation of the company is an exceptional team of data analysts, systems architects and bankcard operations personnel. The company's strength is derived from the depth of experience and breadth of skills achieved by each team member maintaining subject matter expertise within specific focus areas of the Payments Industry. PayPrin was founded by a group of seasoned veterans in the CNP processing business. From startups to Fortune 100 companies, our founders and associates have senior-level experience with some of the top companies in the financial services and technology industries. By leveraging strategic relationships with our technology partners, PayPrin's team of experts designs, develops and deploys comprehensive e-commerce solutions for a wide variety of customers. A passion for success and the adherence to an incomparable set of business standards is ever apparent in the service PayPrin delivers. The common thread that caused the founder's career paths to cross and the vision that carries them forward is the challenge they seek and the satisfaction they achieve, from helping merchants solve problems. In everyday business there are often choices that need to be made, vendors to pick, contracts to sign and these decisions can have long lasting competitive and financial consequences if made incorrectly. The objective is to help clients identify the most efficient and effective method of solving a problem or achieving a goal and with decades of hands-on experience, the PayPrin team helps clients find practical solutions using credible advice, proven methods and solid analytics. PayPrin takes great pride in the fact that some of the company's client relationships are over 20 years old and the team looks forward to building comparable history with your company.